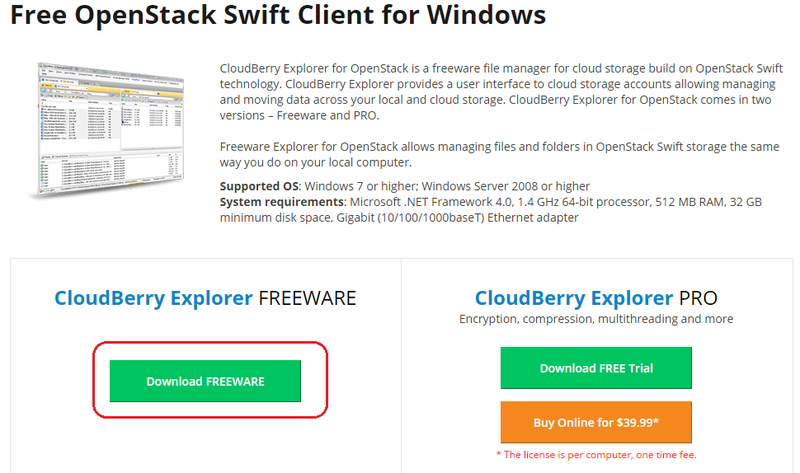 In this post, I will show how you can install OpenStack Swift Client on windows machine which is freeware. This tool will be used to create container for SOA Cloud Service Storage container. 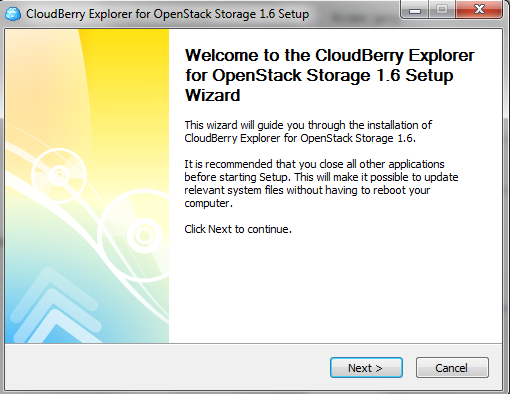 Follow below steps to download and install it. Step 1: Download: Go to below link and click on “Download Freeware” option. Once you click on above option, it takes you to next screen where you need to click on download to download the client. Step 2: Install: Once you download the client, you will have .exe file. Click on that file to run it. It opens the welcome window, click on next. 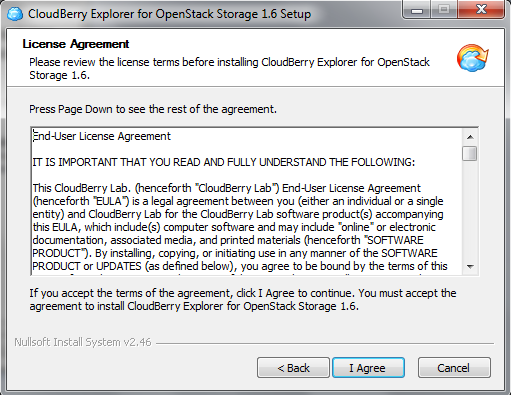 Accept the license agreement by clicking on “I Agree” button. 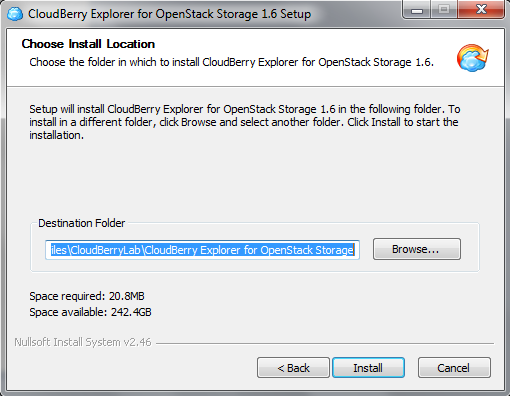 Choose the destination folder and click on Install. 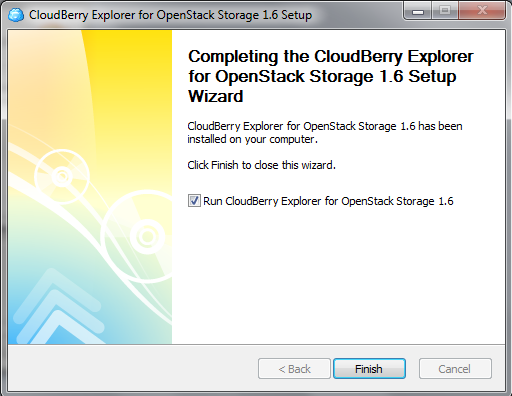 Click on finish and check the run option if need to open the client.